Illuminating Baltimore with literature and ideas during the day and a world-class light art and performances at night, the Baltimore Office of Promotion & The Arts (BOPA) announces that it is uniting two of its marquee events: Baltimore Book Festival and Light City. The two events come together as one spectacular festival from Friday, November 1-Sunday, November 10, 2019 to create ten days of a one-of-a-kind international event at Baltimore’s Inner Harbor. “Uniting the Baltimore Book Festival and Light City provides benefits artistically, operationally and financially for BOPA and the City of Baltimore while meeting our mission to use the arts, in all forms, to create a more vibrant city. At the same time we provide an illuminating extended experience for residents and visitors—truly a win-win for everyone,” said Baltimore Office of Promotion & The Arts Chief Executive Officer Donna Drew Sawyer. The festivals move to November in conjunction with the end of daylight savings time to provide visitors with a greater opportunity to view the light art installations earlier in the evening and to engage more authors as most new books are being released in mid-autumn by publishers. 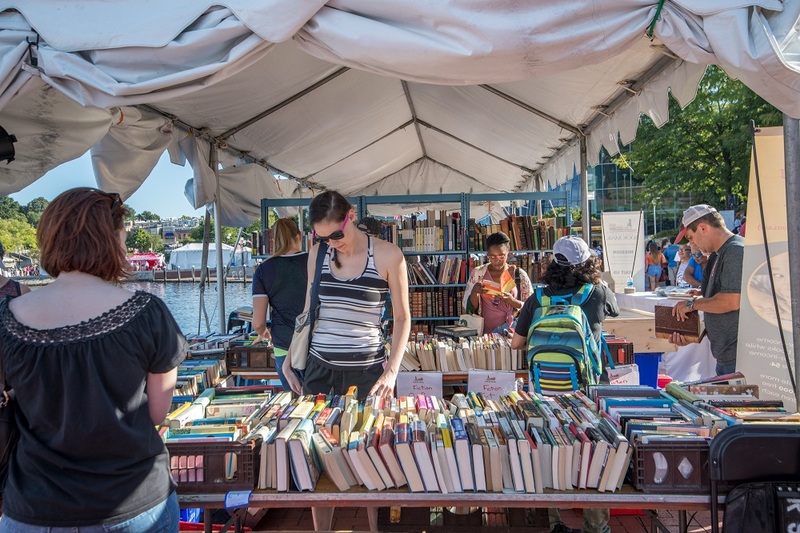 The Baltimore Book Festival, a celebration of the literary arts, features author appearances and book signings, exhibitors and bookseller tents, readings on multiple stages, children’s activities and cooking demonstrations. Light City, a festival of light, music and innovation, features BGE Light Art Walk at its center with awe-inspiring light art installations, performances, concerts, a fun-filled family zone and more. By uniting with Light City, the 24th annual Baltimore Book Festival will be the conference portion of the event addressing contemporary, innovative and historical issues through conversations, Q&A sessions, panel discussions and workshops. In the coming months, the Baltimore Office of Promotion & The Arts will be announcing the details of the united festivals including speakers and performers. Information sessions for residents to contribute ideas and discover how to participate will take place in January, February and March. Applications for performing artists, food vendors, booksellers, exhibitors, and presenting authors open Wednesday, January 9, 2019 for all of BOPA’s 2019 festivals – Artscape, Light City and the Baltimore Book Festival. 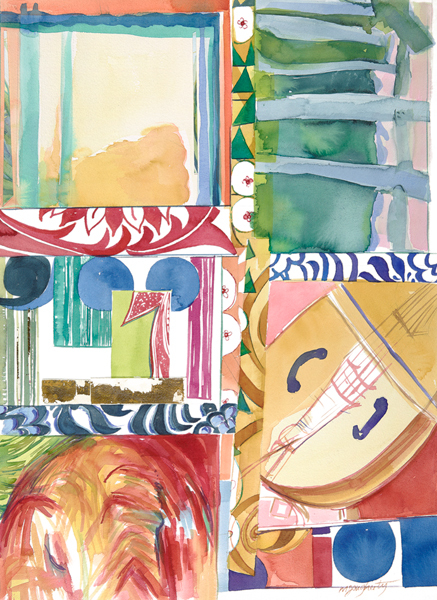 Bromo Seltzer Arts Tower resident artist Martha Dougherty showcases her vibrant paintings and collages during “Watercolors,” on view Saturdays from N ovember 3, 2018 through February 23, 2019 from 11am to 4pm. An opening reception takes place Saturday, November 3 from 5pm to 7pm. Managed by the Baltimore Office of Promotion & The Arts (BOPA), Bromo Seltzer Arts Tower is located at 21 S. Eutaw St., Baltimore, MD 21201. Dougherty’s paintings are in response to various subject matters, from the hidden beauty in a gritty cityscape to freshly picked tomatoes from a friend’s garden. A recent painting series was prompted by her travels to Italy, where light, color and water reflections become a challenge with its own rewards. Additionally, the artist added new dimensions to her work, creating collage and paper cut out and reimagining unwanted first tries into 3D constructions. Baltimore-based artist Erin Stellmon explores the physical and metaphorical presence of walls and fences in her mixed-media collages and paintings on view in “For Your Safety,” opening Thursday, October 4, 2018 through Sunday, January 6, 2019 at Top of the World Observation Level. An opening reception takes place Friday, October 26 from 5 to 7pm. Managed by the Baltimore Office of Promotion & The Arts (BOPA), Top of the World Observation Level is located on the 27th floor of the World Trade Center at 401 E. Pratt Street. Admission is free to the reception, but guests must arrive by 6:30pm. The Portland, OR, native photographs brick and stone walls, rock piles, staircases and temporary fencing throughout Maryland. Stellmon combines her photos with quilt pieces, along with imagery from the Oregon Trail to further question her ancestors’ right to lay claim to land and build barriers. Her use of paper collage exposes the fragility of these boundaries, while a neon palette is employed to both attract and repel the viewer—turning the serenity of traditional American landscape painting into a visual Emergency Alert. 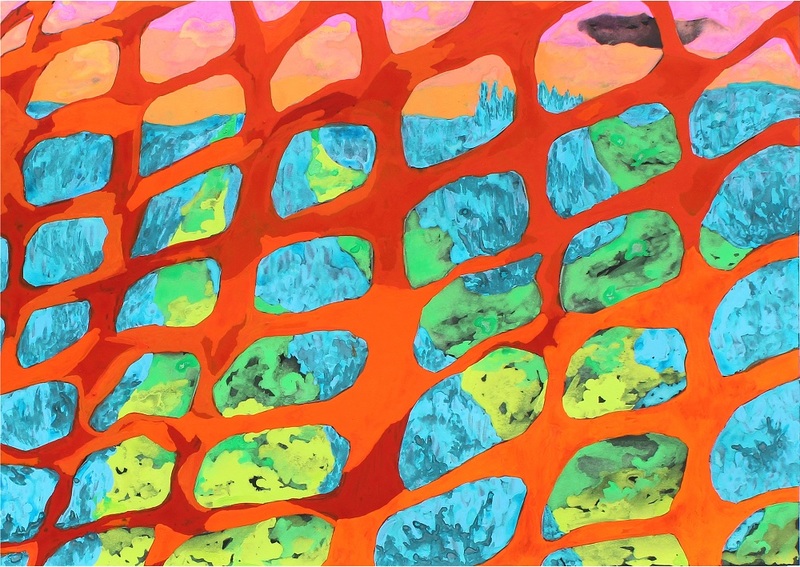 Image: Erin Stellmon, Alien Landscape Under Construction. Bromo Seltzer Arts Tower presents “Lateral Distance,” an exhibition by artist Amy Wetsch, on view Saturdays from October 27, 2018 through February 23, 2019 from 11am to 4pm. Wetsch, a current MFA candidate at MICA’s Mount Royal School of Art, created in response to her recent experience working with Dr. Sarah Hörst, a Planetary Scientist at Johns Hopkins University. The focus of their research is Saturn’s largest moon, Titan, and it’s physical characteristics and processes that resemble those of our home planet, Earth. Although scientists know much about Titan, the moon is difficult to observe because of the dense atmospheric haze, which encapsulates Titan’s intriguing surface. If we were able to further explore this moon, what would we discover? While interpreting the extreme science of planetary exploration, Wetsch has created a large-scale installation, sculptural objects and drawings that aim to capture her imagined essence of Titan, as well as the wonder and grandeur of our solar system. The unruly body is the subject of Roxane Gay’s month-long magazine for Medium, published in April 2018. 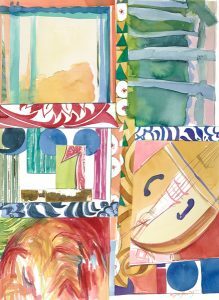 Stevenson University will present an art exhibition inspired by this anthology in the Greenspring Art Gallery in Stevenson, MD during the summer of 2019. Applications are open to visual artists working in any medium who wish to have their most recent work considered. Through this open call, Stevenson University aims to present new work by emerging and mid-career artists from the United States and abroad that aligns with the themes of the Unruly Bodies anthology. Interested artists should apply via email by Sunday, December 2, 2018 at 11:59 PM. Send an artist’s statement, biography, CV/résumé, an image list, and up to 10 images of recent work to Aden Weisel, Exhibitions Director & Gallery Curator for Stevenson University, who will be jurying this exhibition. There is no fee to apply. Artists will be notified of their status by Friday, January 25, 2019. Unruly Bodies will be on display Saturday, April 27 through Saturday, September 21, 2019. Artists will need to arrange transportation or shipping and travel insurance (recommended) for their artwork to and from the exhibition space. 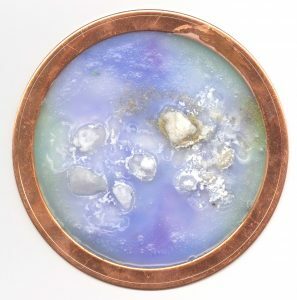 Artwork should arrive ready for installation between Monday, April 15 and Thursday, April 18, 2019, and be picked up or shipped out between Monday, September 23 and Friday, October 4, 2019. Stevenson University will insure all work on its premises, install and deinstall the exhibition, produce marketing and press materials, host an opening reception, and coordinate exhibition-related programming. Stevenson University, known for its distinctive career focus, is the third-largest independent university in Maryland with more than 4,100 students pursuing bachelor’s, master’s, and adult bachelor’s programs at locations in Stevenson and Owings Mills. The Stevenson University Exhibitions Program is supported by the “Friends of the Gallery,” an operating grant from the Maryland State Arts Council—an agency dedicated to cultivating a vibrant cultural community where the arts thrive—and a project grant from the Baltimore County Arts & Sciences Commission. For more information, contact Aden Weisel at aweisel2@stevenson.edu or 443-394-9699. Emerging bands and musicians compete during the 11th annual Sound Off Live! presented by Hard Rock Café Baltimore. 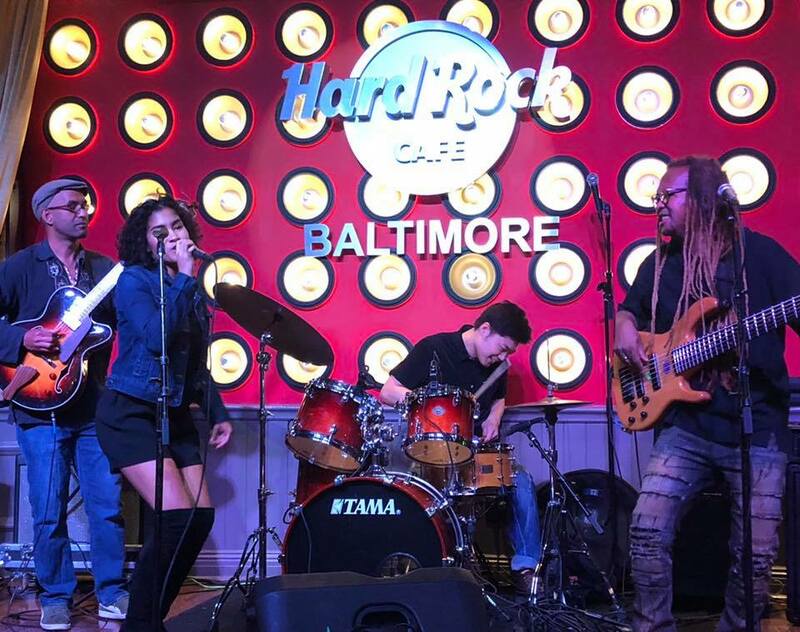 Baltimore’s “Battle of the Bands” returns Wednesday, October 17 and Thursday, October 18, 2018 from 6pm to 10pm at Hard Rock Café Baltimore located at 601 E. Pratt Street. Doors open at 5pm. Eighteen regional groups perform three songs during 15-minute showcases in front of a live audience and panel of judges. The winning bands will perform at Artscape, Baltimore Book Festival and Light City in 2019. A program of Free Fall Baltimore, the event is free and open to the public. Sound Off Live! is produced by the Baltimore Office of Promotion & The Arts (BOPA). The 23rd annual Baltimore Book Festival returns to Baltimore’s Inner Harbor on Friday, September 28 through Sunday, September 30, 2018. 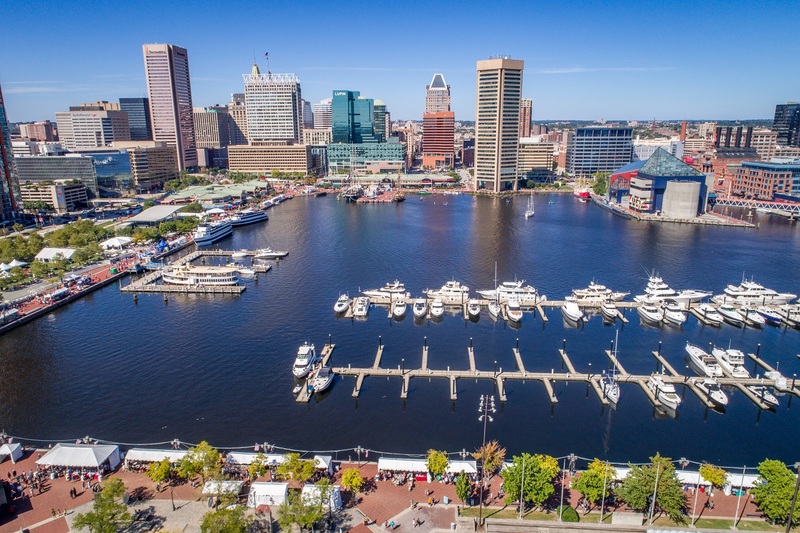 Produced by the Baltimore Office of Promotion & The Arts (BOPA), the literary arts celebration takes place along the Inner Harbor Promenade, from the Inner Harbor Amphitheater to Rash Field from 11am to 7pm daily. The festival is 100 percent free and open to the public. In addition to the hundreds of author appearances and book signings, the Baltimore Book Festival features more than 100 exhibitors and bookseller tents, readings on multiple stages, cooking demonstrations and samplings, poetry readings, workshops, panel discussions, storytellers, children’s activities, the annual Storybook Parade and live music. Plus, the three-day festival offers varied local food and craft beverage including Charm City Pops; El Tenedor de Nacho; Farm To Face; Island Quizine; and Smokin’ Joe’s. Acclaimed local, regional and national authors at the 2018 Baltimore Book Festival include: White House Correspondent April Ryan, Under Fire: Reporting from the Front Lines of the Trump White House, in conversation with 60 Minutes correspondent Bill Whitaker; author of four New York Times best sellers, A.J. Jacobs, It’s All Relative: Adventures Up and Down the World’s Family Tree; 2018 One Maryland One Book author Tim Junkin, Bloodsworth: The True Story of the First Death Row Inmate Exonerated by DNA Evidence, in a rare appearance with the book’s subject; Hurston/Wright Legacy Award recipient Tayari Jones, An American Marriage (Oprah’s Book Club 2018 Selection); best-selling illustrator and author Ricardo Cortés, Sea Creatures from the Sky; Green Lantern: Legacy graphic novel writer Minh Lê, Drawn Together; 2018 One Book Baltimore author Nic Stone, Dear Martin; author of young adult romance, Nisha Sharma, My So-Called Bollywood Life; science fiction and fantasy writer Sam J. Miller, Blackfish City: A Novel; PEN/Hemingway Award recipient Ben Fountain, Beautiful Country Burn Again: Democracy, Rebellion, and Revolution; 2018 RWA RITA double finalist Priscilla Oliveras, Her Perfect Affair and Resort to Love; author and The Weekly Reader radio show and podcast host Marion Winik, The Baltimore Book of the Dead; author and retired Lieutenant and Barrack Commander David Reichenbaugh, In Pursuit: The Hunt for the Beltway Snipers; author of New York Times best seller Dread Nation, Justina Ireland; and cookbook author and chef John Shields, The New Chesapeake Kitchen. The full schedule is available at www.baltimorebookfestival.org. The Ivy Bookshop is the festival’s official bookseller and lead curator, and sells copies of appearing authors’ books on-site at the stages and the festival’s bookshop. The festival offers family-fun adventure with children and young adult authors and illustrators, storytellers, the Storybook Parade, crafts, music and food. 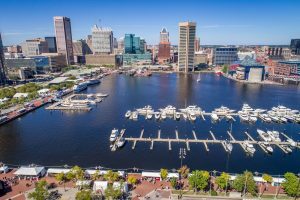 The Crafts Corridor, located on the Inner Harbor South Shore Promenade near Rash Field, offers “A Wrinkle in Time”-themed crafts as well as DIY Galaxy Zen Jars and DIY Tesseracts. The festive Storybook Parade returns on Saturday, September 29 at 11am with children’s book characters Junie B. Jones, Cookie Mouse, Peter Rabbit and Wild Thing, together with the Griots’ Circle of Maryland. Book lovers of all ages are welcome to dress as their favorite characters, authors or playwrights and march down the promenade from the South Shore Promenade to the World Trade Center. Throughout the weekend, Poetry in Motion provides students an opportunity to use visual theater to create visual adaptations of Shel Silverstein poetry, play theater games using creative movement, mime and gesture, and learn how to use their bodies as a tool for expression. Enoch Pratt Free Library Children’s Stage features top authors, interactive programs and books for children and teens. Families can also sign up for a library card. Highlights include: a Zumbini music and movement class with Miss Kelly on Friday, September 28 at 12pm; a demonstration and 3D printing pen activity with Open Works Mobile Workshop also on Friday at 3pm; Read to Reef Book Club featuring Ricardo Cortés’ Sea Creatures from the Sky on Saturday, September 29 at 2pm; Brigid Kemmerer, More Than We Can Tell, in conversation with Nisha Sharma, My So-Called Bollywood Life, moderated by Matthew Winner of The Children’s Book Podcast, also on Saturday at 4:30pm; and Children’s Picture Book Panel hosted by Paula Willey, featuring Sarah Jacoby, Forever or a Day, Minh Lê, Drawn Together, and Elizabeth Lilly, Geraldine, on Sunday, September 30 at 1 pm. The Baltimore Book Festival Music Stage features lively performances by local and regional bands including The Billy Price Charm City Rhythm Band, R&B; Joi Carter, neo-soul; QOK, pop; The Palovations, soul; The Outcalls, indie pop; and ellen cherry, pop.